Hardingham railway station is not normaly open to the public and was open just for this one weekend during the Mid-Norfolk Railway's 2015 and 2016 Steam Gala's. Only those on the train could get of at Hardingham station. When every was were I am standing, there was a run pass by the train. 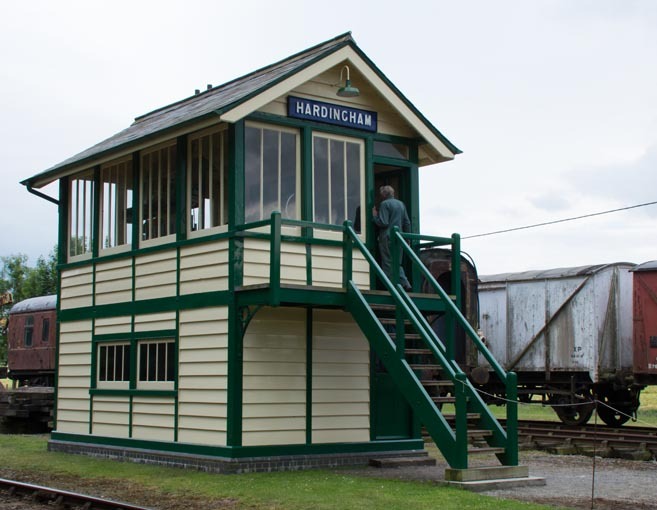 The renovation of this signal box at Hardingham station which was from Snettisham, won the FirstGroup Craft Skills Award in 2015. The bottom part of this box has had to be completely rebuilt. Top marks to ever one who helped in this renovation. 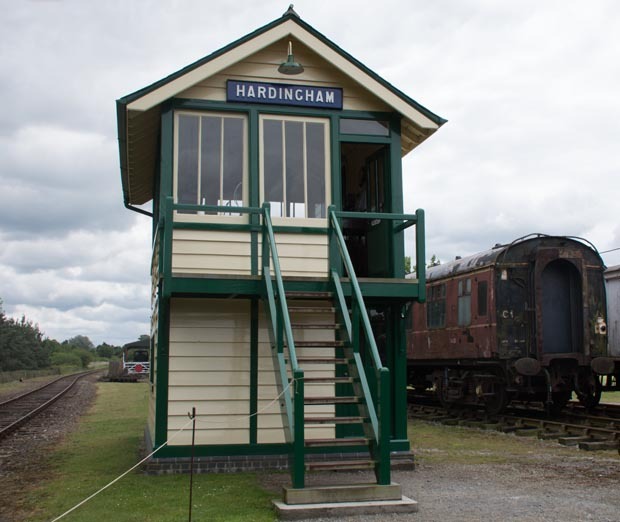 This page is about the signal box at Hardingham on the Mid-Norfolk Railway .